Curved roof 3 bedroom house in 1903 Square Feet (177 Square Meter) (211 Square Yards). 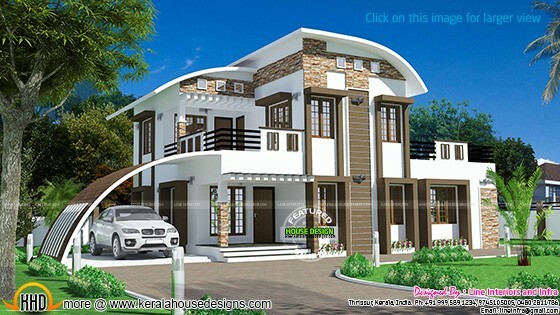 Designed by Line Interiors, Thrissur, Kerala. Ground floor : 1288 Sq.Ft. First floor : 615 Sq.Ft. Total area : 1903 Sq.Ft.